A big thank you to the people who participated in the 100th Session last week. I hope this is everyone but if I am missing someone, apologies for that, just let me know and I will add you to the list. It looks like the 101st session is open so if you want to get involved, just scroll down to the bottom of this page and follow the instructions. It basically just involves sending an email. Alan - A Good Beer Blog - Found an interesting quote from 1842 which lists many ingredients one may not put in to beer, many of which I have never heard of. Lars - Larsblog – Wow, Lars schooled us on a beer style I've never heard of. Less of a style and more of a practice I suppose. Raw Ale is basically beer that’s not boiled, unlike pretty much all beer on the market. I’m curious now and might do a homebrew version out of curiosity. 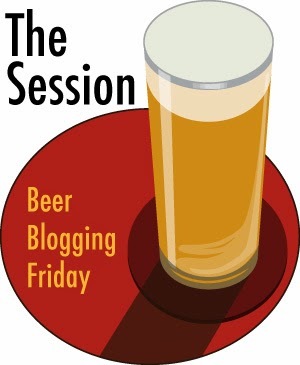 John – TheBeerNut – Always reliably turns a session article in to puntastic beer review. A new Irish hemp beer was his topic of choice and the conclusion was, add more hops, I mean hemp. Derek – Ramblings of a beer runner – A look at why Gose is so popular in the US. It sort of looks like one brewer releases one, another decides “sure why not” and then all of a sudden, it’s the beer style of the moment. Roger – Bottled Roger’s Beers – Brilliant, a beer style I haven’t heard of. Tiswin is basically a beer brewed by Native Americans but uses corn or saguaro (cactus) instead of barley as the main fermentable. He even provides a recipe for us to try. Alan – Growler Fills – Alan took it to heart and went on a personal journey around Spokane, WA to see what he can find. He discovered the inevitable Gose but he also discovered Grisette, something I wrote about last year in an article with a similar theme. Sounds like he had fun discovering beer. Sean – Beer Search Party – An almost philosophical look at the topic. Let the lost stay lost. From a technical standpoint, he’s correct. A recreated beer from today can’t possibly be the same as back then due to differences in hops and malt and even processes. Jon – The Brew Site – A local brewery has recreated Sahti using almost entirely wooden vessels other than the boil in the kettle, though technically, it should be one of Lars’ “Raw Beers” and not boiled. I’d like to try some of this though. VelkyAl – Fuggled – I’ll be visiting Al next month. He’s always interested in old beer recipes. Al hosts the International Homebrew Project each year where we re-create old recipes. For the session, he talks about something called pumperkin, which isn't just a cute name for a pumpkin beer. It sounds a lot like fermented pumpkin juice but includes persimmons, hops and maple syrup. Jay – Brookston Beer Bulletin – One of the founders of The Session, Jay says he doesn't like “beer styles” as such but then goes on to list 100 little known or lost beer styles. Many of them actually do still exist outside of the US but in small numbers. Almost as interesting are the readers comments which go on to list even more obscure beer styles. Jack – Deep Beer – Oatmeal Stout is the topic here, sure oatmeal stouts are everywhere these days but for a while, they all but disappeared. Jack explores the style and history as well as lists some of the highest rated versions and even includes food pairing ideas. An intriguing look at one of my favourite styles of beer. Boak and Bailey - Boak and Bailey's beer blog - A pre-authorised shameless plug for their book. It's a long snippet about Porter, not something you might consider to be lost but apparently, unbeknownst to me, it did spend a bit of time all but forgotten. Killian - The Drunken Destrier - A look at a style called a Münsterlander altbier or Adambier. He goes on to review an interpretation of the style from Vormann. It sound intriguing actually, even if he didn't like it much. Thanks, I added it to the roundup.